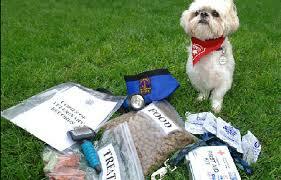 In the following post, we will look at an info graphic we recently made for Emergency Survival Kits for your Pets. The reason we had it made was to help people properly prepare for emergencies. In a similar way to a ‘go bag’ that many organisations and charities are encouraging people to have ready in their car or home if a natural disaster, terrorist attack or some other kind of emergency occurs; we feel it only makes sense that pet owners should do the same for their beloved animal friends.